Roblox Corporation's hit MMO game Roblox has quite a large following, and that's thanks in part to its wide range of games that players can enjoy. Designed as a free online service where players can create their own games using Roblox Studio, there are hundreds of games available for Roblox from players new and old alike. Chat with your friends in an online role-playing server, break out from jail and rob a bank, or survive natural disasters in a survival game that's a lot like PlayerUnknown's Battlegrounds. Of course, it can be hard to choose when there's so many different games to play on Roblox. But if you're eager to try the best of the best, here's Roblox's top games. Ever wanted to try a game like Super Mario 64 in Roblox? Created by user zKevin and inspired by the classic N64 title, Robot 64 casts players as an adorable robot named Beebo who journeys through the world in an attempt to destroy the sun. Featuring an original story, new characters, and diverse landscapes for players to run through, jump in, and fly arond in, Robot 64 is a must-pick for any Roblox fans eager for a single-player experience. Roblox users can try out Robot 64 at the game's official listing. This game should sound familiar to any Trouble in Terrorist Town fans from Garry's Mod. With up to 12 players at a time, Murder Mystery 2 stars one player as a murderer, another as a sheriff, and the rest as innocents. While the innocents wander around without any weapons, the murderer is given a knife, which can be used to kill innocents and the sheriff. On the other hand, the sheriff can shoot and kill the murderer, but if he murders an innocent, he'll die too. 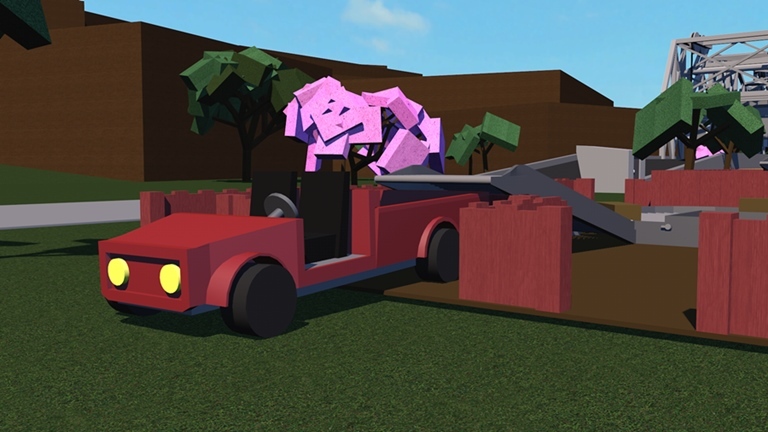 Murder Mystery 2 is based entirely around deception and covert behavior, making it an incredibly addicting multiplayer Roblox game. Play it at Roblox's official website. 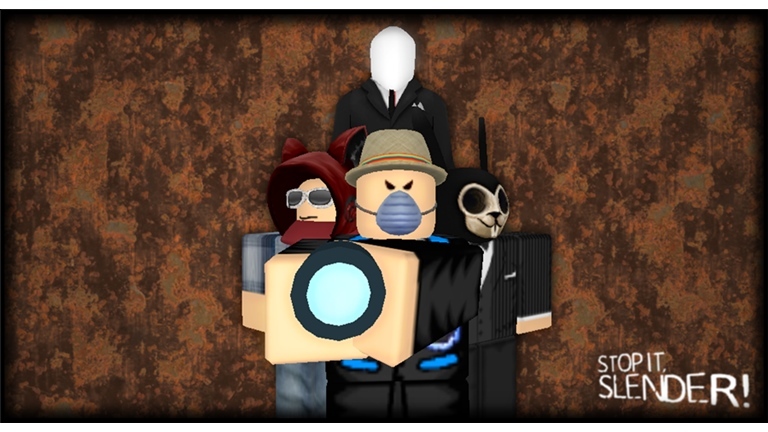 Referencing the immensely popular character Slender Man from Marble Hornets and Slender: The Eight Pages, Roblox game Stop it, Slender! 2 serves as a multiplayer send-up to the first video game. One player is chosen at the beginning of a map as Slender, and the rest of the game's players are tasked with turning on three generators and collecting eight pages in order to defeat him. Players lose health by looking at Slender, and he can also drain their health by grabbing them, making for quite a suspenseful horror game. Interested players can check out Stop it, Slender! 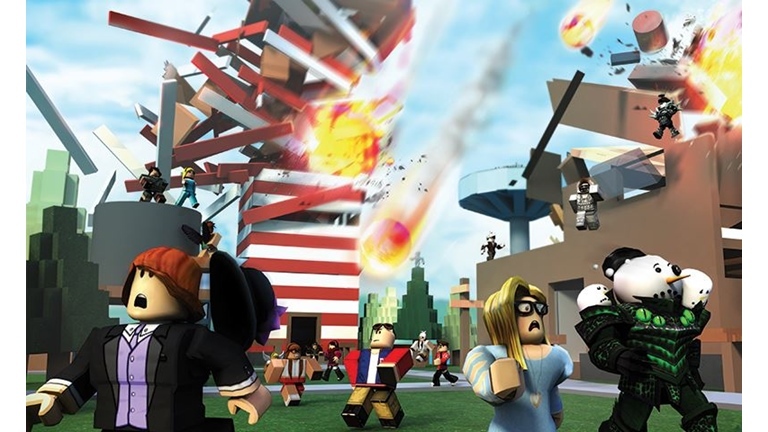 2 at the game's official Roblox page. 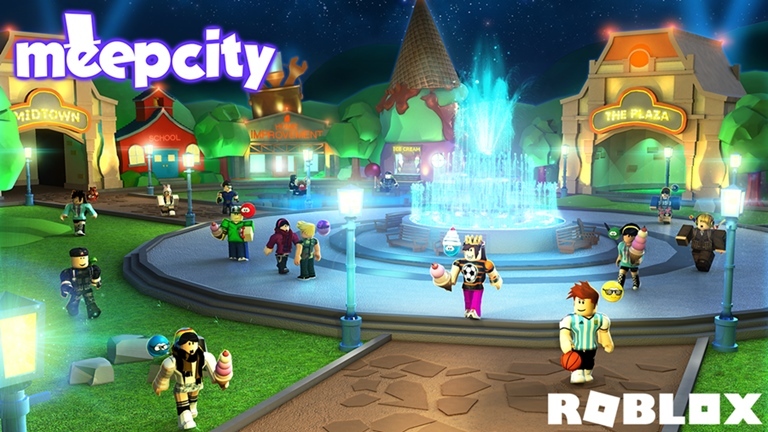 Roblox's MeepCity is one of the better known games from the entire service. Unlike other games that feature a task for players to complete, MeepCity is more of an online hangout where players can chat with one another, buy items with coins, and create their own house. The game is often compared to Club Penguin and other online MMOs for kids, but for young players and adults alike, MeepCity is a great opportunity to build a house and live another life online. Try out MeepCity over at Roblox's game catalog. Roblox features plenty of strategy games, and Lumber Tycoon 2 is one of its most popular. In this game, players chop down trees and sell wood in order to create an enormous lumbermill empire. Each player starts with an axe and can upgrade to a sawmill, bringing in more money for higher quality wood in the process. Sustain your growth, and you'll end up with an enormous lumber operation in no time. Play through Lumber Tycoon 2 on Roblox's website. Don't let Work at a Pizza Place's name fool you. This game isn't just a pizza place simulator, it's actually a life sim. In Work at a Pizza Place, players earn money by working at a pizzeria, and at the end of their shift, that cash can be used to buy furniture for their homes, upgrade their houses, or even buy a mansion. Players can also buy pets and choose from various different roles at the pizza place, from serving as a manager to being a cook. Check out Work at a Pizza Place over at Roblox's website. Another classic game mode converted over to Roblox, Jailbreak should sound familiar to any Counter-Strike users who played on Counter-Strike and Counter-Strike: Source's modded servers. Easily the most popular Roblox game on the entire platform, Jailbreak splits players into two teams: Police and Prisoner. Prisoners start in a prison and can obtain a keycard by stealing one from a cop, letting them open security doors and escape the prison. After escaping prison, Prisoners become Criminals, and they can roam around town and carry out heists on banks and other locations while Police try to stop them. Jailbreak is easily one of the biggest games on Roblox to date, and interested players can try it over at the game's official Roblox listing. Imagine playing a battle royale game with an emphasis on survival over outright killing other players. That's Natural Disaster Survival in a nutshell. In this game mode, players spawn into a random map and experience a sudden disaster, from a blizzard to a meteor shower. Faced with certain death, that means Roblox players must use their reflexes to avoid being killed on the map. For instance, flash floods force players to reach the high ground, whereas acid rain keeps players indoors while they try to avoid uncertain death. While pretty straightforward, Natural Disaster Survival quickly becomes challenging as players fight for safety and limited space. Play the mode for yourself over at Roblox's games library. Phantom Forces may just be one of the most complex Roblox games ever created. 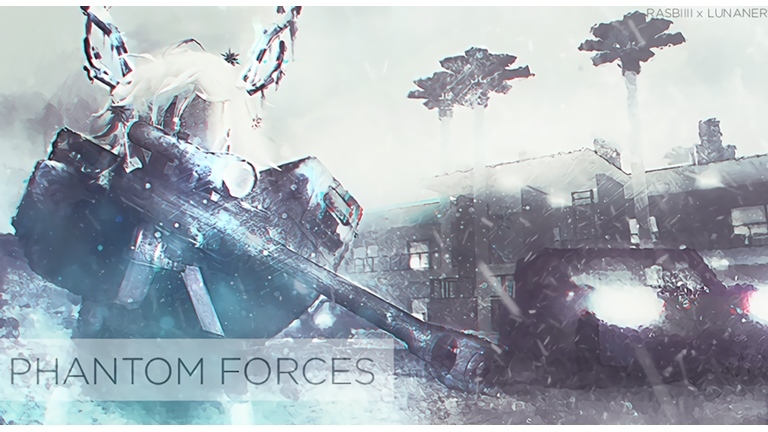 Developed by Litozinnamon and StyLiS Studios, Phantom Forces lets players go head-to-head in first-person shooter combat over an enormous battlefield. While Phantom Forces still maintains that classic Roblox look, it features surprisingly advanced animations and gunplay, and it plays a bit like EA's Battlefield series. Available weapons range from shotguns to assault rifles to sniper rifles, and gunplay is both smooth and satisfying. Fun, chaotic, and quite violent, there's a lot of care put into Phantom Forces, and it's easily one of the best games on Roblox to date. Interested players can try Phantom Forces on the official Roblox website. Welcome to Bloxburg is similar to Work at a Pizza Place. Players build and maintain a house in an open world populated with friends and strangers alike. There's a little bit more freedom in this game though, as players can work at myriad jobs to raise money. After building, players can go hang out at a beach, nightclub, or somewhere else to pass the time with their friends. If you're already a fan of Work at a Pizza Place but want a game that gives you a little bit more freedom to build and work as you please, Welcome to Bloxburg is a must-try. Give this game a shot over at the official Roblox website. Imagine playing through a high school role-playing game set in an enormous castle built for royalty to hang out and learn to wear the crown. That's Royale High in a nutshell, one of the newest and most popular Roblox role-playing games available on the service. In Royale High, players create their own characters, choose a dorm room, and explore a royal castle while attending classes to level up their skills. Hang out with other players, dress up your student, and build some memories for ever after. Check out Royale High's listing on the official Roblox games page. Roblox lets players create all sorts of wacky games, from first-person shooters to role-playing games. That said, Super Hero Tycoon remains one of the best on the service today for superhero fans. It merges a resource management sim with a superhero role-playing game. In Super Hero Tycoon, players can choose to play a tycoon around legendary D.C. and Marvel superheroes like Batman, Spider-Man, and Deadpool. Afterward, users build their own base dedicated to their superhero of choice by collecting regular money deposits. Save funds, upgrade your secret base, buy vehicles, new weapons, and compete with your friends (or even outright fight them) to create the best superhero headquarters. Players can even go head-to-head against Thanos, the big bad from Avengers: Infinity War. If you're interested in giving Super Hero Tycoon a shot, visit its official Roblox page.